Floating Betta Exercise Mirror™ | Zoo Med Laboratories, Inc.
An exercise mirror that promotes natural territorial behaviors and provides enrichment for your Betta. When your Betta sees his reflection he will “exercise” his fins. 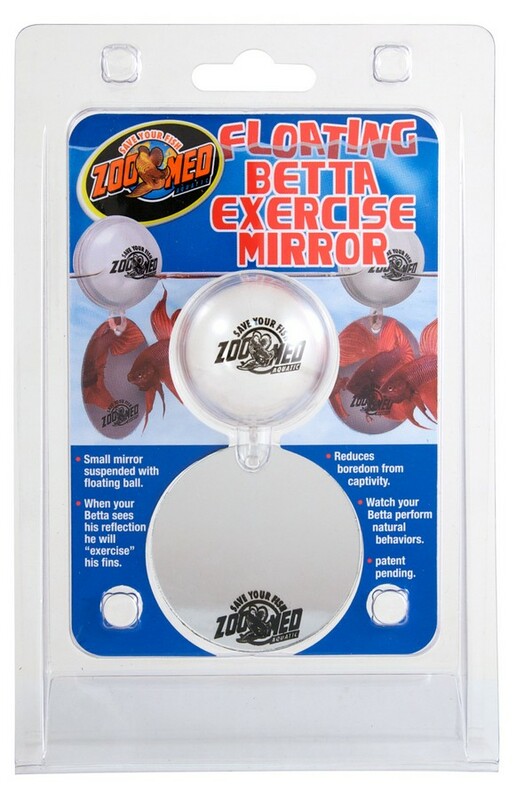 Watch the video of the Floating Betta Exercise Mirror in Action!